Sat., Feb 23rd – National Day of Resistance in defense of our 2A Rights! PRO-2A Rally Set For Sat., Chaut County, Frewsburg, NY! A gun appreciation rally will be held from noon to 4 p.m. Saturday in the Frewsburg Blue Building, Station 2, Hazzard Street, Frewsburg. Guest speakers will include Andrew Goodell, New York state assemblyman; Jacqueline Chiarot, for U.S. Congressman Tom Reed; New York State Sen. Cathy Young’s representative; and Stephen Aldstadt of S.C.O.P.E. Inc. Tables will feature Rod and Gun clubs, Shooting groups, Veterans groups, Trapping organizations and Political action groups. More supporters: RSVP and info here, on Facebook. There a few seats left on the 2A Coalition of WNY’s bus — email Ashleigh at 2ACoalition@gmail.com or call (716)539-9092. Alternately, SCOPE is providing bus transportation from all over the state – just contact SCOPE. NYSRPA, in co-operation with the NRA, are having the Cuomo law reviewed by a highly qualified legal team. We ask that no other 3rd party legal action be taken without prior consultation. We realize that this law impacts a large number of people, but a proper legal review will take some time. Involved in the lawsuit will be two of the nations best 2nd Amendment attorneys. This is a very important proceeding and must be handled properly with the best lawyers. We will not win without support from gun owners. You can help either by joining/renewing your membership or making a online donation. Please do not call or e-mail the office or directors asking for more information. Any announcements on this issue will be published here on our website. Thank you for your understanding. January 29, 2013 UPDATE: A Notice of Claim has been filed. We the People of New York Inc. invites us to join the lawsuit to strike down the NY SAFE Act, and to Petition the Legislature for violation of Article XIII of our NYS Constitution, which says ALL of us are members of the State Militia. Simply click here: http://wethepeopleofny.org/, then click on I AM IN! BREAKING: Sorry Andy, No Truce – We won’t be Bribed !!! 20 Counties say NO to NY SAFE Act! To view the larger map from AR15 and for links to all the passed and pending resolutions, click here. 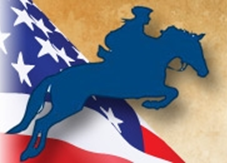 Counties Condemning NY SAFE Act February 20, 2013 – More counties will soon vote on resolutions and motions regarding the NY SAFE Act. Niagara Co. Leg wants SAFE Act repealed February 19, 2013 The Niagara County Legislature took up the issue of the NY SAFE Act Tuesday night, and all 14 county lawmakers voted for a resolution calling on Albany to repeal the new gun law. Published: Wednesday, February 20, 2013 By ARIEL ZANGLA Daily Freeman staff – Opposes the SAFE act as well as objects to the latest proposal in the Assembly regarding liability insurance calling it “nothing more than a back-door attempt to prohibit legal gun ownership in this state” ! By Michael Novinson Times Herald-Record – 02/20/13 – Two hours of comments as 1,000 attend! Montgomery vote on SAFE resolution February 15, 2013 – The Montgomery Co. Board of Supervisors are planning to vote on a resolution opposing the NY SAFE ACT at their monthly meeting, February 26, 2013 at the Board of Supervisor chambers located in the DMV building at the county complex in Fonda. Meeting time is 6:00pm. Riga joins communities opposed to new gun laws – 02/20/13 – The town of Riga has joined a small but growing chorus of municipalities vocalizing opposition to the state’s new gun control law. Last week, the Riga Town Board voted 4 to 0 to adopt a resolution condemning the New York Secure Ammunition and Firearms Enforcement (SAFE) Act of 2013. “The Riga Town Board does hereby oppose the enactment of any legislation that would infringe upon the right of the people to keep and bear arms and consider such laws to be unnecessary and beyond lawful legislative authority granted to our state representatives,” the resolution reads. Oneota: Over 200 Attend Citizen Voices Meeting to Speak Out Against the NY SAFE Act – 02/20/13 – Over 200 hundred people attended the Tuesday evening Citizen Voices meeting at the Elks Club in Oneonta. They were there to voice their concerns with the NY SAFE Act gun law. There were numerous speakers including Tom King, president of the New York State Rifle and Pistol Association, Assemblymen Cliff Crouch and state senator James Seward. The Saratoga [NY] County Deputy Sheriff’s Police Benevolent Association’s letter to the New York pols who passed the so-called SAFE Act was sent January 24. It’s a must-read missive for anyone who cherishes their right to keep and bear arms. Or anyone who believes that the government of the United States should be by the people for the people, according to limits established by the Constitution. To: The citizens of Erie CountyFrom: The Erie County Sheriff’s Police Benevolent Association. “…..Our membership, like many citizens of New York are outraged at Governor Cuomo’s unprecedented attack on our second amendment rights. Since 1977 three Erie County Sheriff’s Deputies have been murdered and three wounded by gunfire in the line of duty. In addition two deputies have been forced to use deadly force to defend themselves from lethal attack by criminals. There is a widespread misconception that law enforcement officers favor additional restrictions on firearms ownership by law abiding citizens. Nothing could be further from the truth. Rank and file police officers see every day the aftermath of violent criminal attacks on defenseless victims. The uniformed police officers paraded out as window dressing during the signing of these laws are simply lap dogs seeking to further their own political ambitions. SENATOR PATRICK M. GALLIVAN, Former State Trooper and Former Sheriff of Erie County Voted “NO” On Omnibus Gun Control Package. Gun advocates put pressure on lawmakers February 21, 2013 -The same day Governor Cuomo is in western New York, area gun advocates will be putting pressure on Erie County lawmakers to say no to Cuomo’s SAFE Act. Western New Yorkers Part of Big Gun Rally in Albany February 12, 2013 – Hundreds turnout at the State Capitol to protest the SAFE Act. CLARENCE, N.Y. (WIVB) – In Clarence, tempers flared as gun-owners met with state officials to talk about the New York SAFE Act. Continue reading and watch the video here at WIVB. Feb 20, 2013 ALBANY — More than two dozen counties and local governments have passed resolutions in opposition to New York’s gun-control law. Some call the law unconstitutional, some want a full repeal, and others raise concern about unfunded mandates that the law may produce. While the resolutions are ceremonial, local leaders said they want the message to get across to state officials that people are unhappy with the law. Local leaders, mainly Republicans, said they were responding to the concerns of residents. On Tuesday night, about 1,000 residents attended an Ulster County Legislature meeting as lawmakers adopted a resolution opposed to the gun law signed by Gov. Andrew Cuomo on Jan. 15. The Niagara County Legislature passed a similar resolution Tuesday. Monroe County Legislature chairman Jeff Adair said he’s received calls and emails from residents and groups urging the county to take a stand against the law. He said one would likely be considered at the legislature’s next meeting on March 12. Last week, the Riga Town Board and Orleans County Legislature both adopted resolutions condemning the SAFE Act. The third rally to oppose the law is planned for Thursday, Feb. 28, at the Capitol. Organizers said they are bringing busloads of thousands of gun-rights supporters to Albany for the event. Local leaders said the push for resolutions in opposition to the gun law hasn’t come from one particular group. While some counties have consulted with one another about how to craft the resolutions, there isn’t one specific template that they are all using — though many are similar. The resolutions in Ulster and Wyoming counties run four to five pages and both say, “This legislation effectively turns countless New York State law-abiding gun owners into criminals.” “This gun law was poorly drafted, it was poorly passed. It really does need a lot of fixes,” said Ulster County Legislature chairwoman Terry Bernardo. A Livingston County resolution was one page and states, “The law’s definition of assault weapons is too broad, and prevents the possession of many weapons that are legitimately used for hunting, target shooting and self defense.” Livingston County Administrator Ian Coyle said county officials were also concerned about the added local cost to enforce the law. Rockland County passed a resolution Tuesday in opposition to the law, and Tioga County recently passed one. Dutchess County said it, like Monroe, is considering a resolution. “It’s important to so many people that we need to discuss it,” said Robert Rolison, the Dutchess County Legislature chairman. “It’s got grass-roots. There’s no overarching group pushing this,” said Evan Hempel, a Town Board member in Clermont, Columbia County, who is keeping track of ALL the resolutions on a website, www.nysaferesolutions.com. Opt out forms for pistol permit holders – The Erie County Clerk has made available forms for pistol permit holders to opt out of allowing their information to be made public. 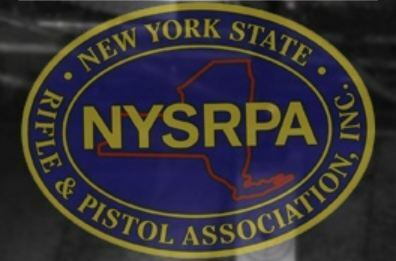 Pistol Permit Opt Out Forms Now Available – The New York State Police have now made available the so-called opt – out forms which allow holders of pistol permits in the state to keep their information private. On the mental health aspects of the bills, also problematic: Advocates voice concern over gun law – WIVB February 13, 2013 – The NY SAFE Act requires mental health professionals to report the names of potentially dangerous patients to authorities. But some are concerned the new law threatens the rights of the mentally ill, who advocates argue could be stereotyped. Hearing on state gun-control law brings variety of objections – Buffalo News – Objections at hearing cite aspect of breaching code on mental health: “This was very hastily prepared and not robustly considered legislation as it could have been from many dimensions,” said Kenneth P. Houseknecht, executive director of the Erie County Mental Health Association. Mental health advocates expressed concern over the legislation’s less publicized provisions, such as requiring doctors and counselors to report potentially violent clients to the state. That’s a serious breach of doctor-patient confidentiality, they said. On January 15th, 2013, Governor Andrew Cuomo dealt a major blow to your second amendment rights. His new firearms bill will cost the state millions in new registration databases and enforcement, cost dealers thousands in absurd record keeping and make you a criminal for possessing the same firearms you owned legally on January 14th, 2013. All of these additional costs will burden the consumer and the tax payer. The new law will do nothing to curb gun violence or stop a mass murder. 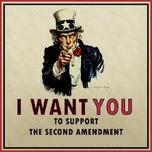 But those who voted for it and the Governor do not care; they don´t want you to own firearms PERIOD. Not only does this measure trample the very Constitution he swore to uphold, but it was rushed through in the middle of the night. The bill was not released to the public before it was voted on and Cuomo waived the mandatory three day cooling off period before forcing a vote. He is a treasonous tyrant who is out of control. Sign the petition to impeach this man and restore our once great State from the top down.